The Culpeper Wellness Foundation (CWF) was established as an independent 501(c)(3) non-profit when the University of Virginia Health System became the sole owner of the Culpeper Regional Hospital in 2014. CWF was created to oversee Powell Wellness Center and the Free Clinic of Culpeper, which had been entities of the hospital’s prior parent company. 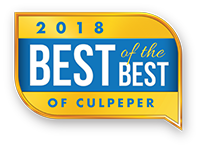 In 2017 Culpeper Sport & Fitness joined the CWF community. The Foundation’s mission is to improve health and promote wellness in Culpeper, Orange, and Madison counties. In fulfilling its mission, CWF holds a unique role in the community as a provider of services, a partner and collaborator with donors, public and private agencies, and as a grantmaker. The Foundation’s financial data is available for review below. We would be happy to answer any questions you may have. Thank you for your interest in our mission.